BSC admits just around half of the students who apply--if you have scores and grades above average, you still have a good chance of being admitted. But keep in mind that things such as writing ability, extracurricular activities, academic history and work/volunteer experience all play a role in affecting your application. In addition to submitting an application form, test scores from either the SAT or ACT, and a high school transcript, applicants must turn in a personal statement essay. Students can choose from a number of topics, which can be found on the school's website. Located three miles from downtown Birmingham, Birmingham-Southern College (BSC) is a highly-rated private liberal arts college affiliated with the United Methodist Church. 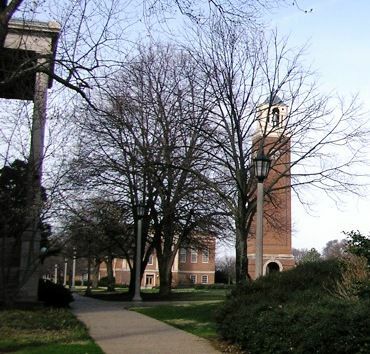 Birmingham-Southern was featured in Loren Pope's Colleges That Change Lives, and the college frequently ranks among the very best liberal arts colleges in the South. For its strengths in the liberal arts and sciences, Birmingham-Southern was awarded a chapter of the prestigious Phi Beta Kappa Honor Society. Popular areas of study include biology, business, psychology, and accounting. On the social front, BSC has an active Greek system, and many students join fraternities and sororities. In athletics, the BSC Panthers compete in the NCAA Division III, within the Southern Athletic Association. Popular sports include football, swimming, track and field, and soccer. Other schools in the Southern Athletic Association include Centre College, Oglethorpe University, Sewanee, Hendrix College, and Berry College—all these schools are located in the Southeast, and are generally the same size, and have similar academic offerings. Applicants interested in a smaller, but still highly-ranked Alabama college or university should also check out Huntingdon College, Spring Hill College, the University of Montevallo, and the University of Mobile.